Ideal for formal entertaining or everyday use, this beautiful food safe hammered aluminum platter, makes serving easy and classy at the same time. Great for use as a dessert tray, or for serving coffee or tea on an ottoman or coffee table. 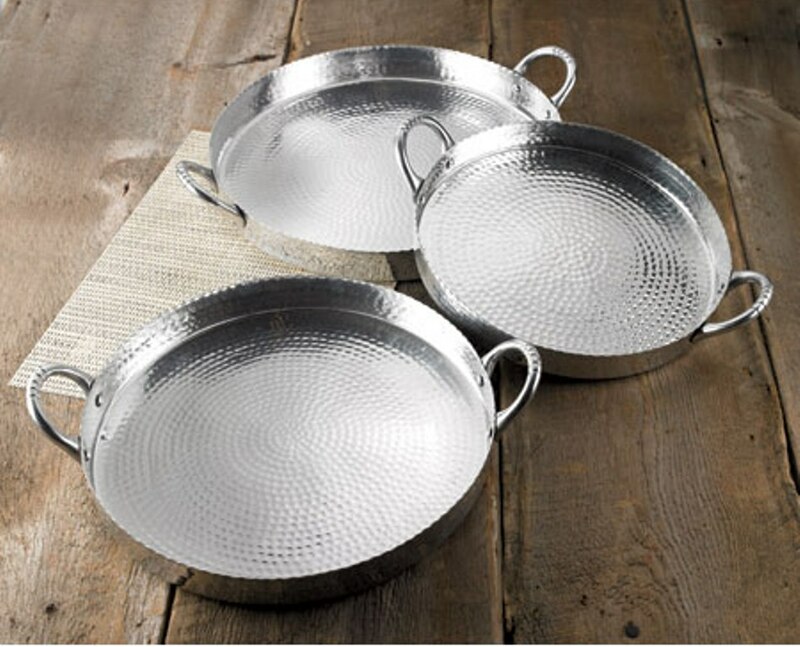 Hand crafted by skilled Artisans, this silver platter is made from hammered food safe aluminum with handles for convenient carrying. Works great as counter top display or in your vanity for perfume or jewelry storage and can be used anywhere to add a touch of class to the decor. The tray measures 14 inches in diameter, 17 inches from handle to handle, and is easy to clean and care for. 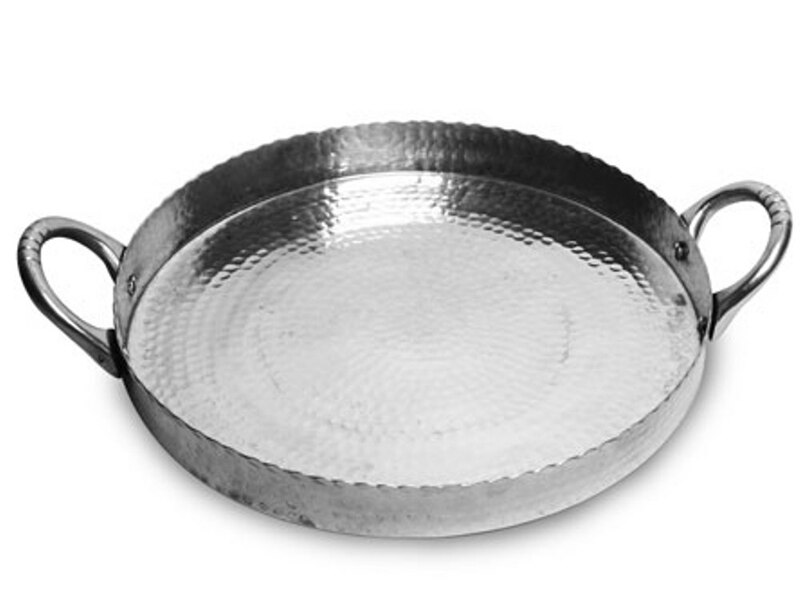 Beautiful hammered silverplate platter serving tray is made of high quality food safe aluminum. Vintage Silver Serving Tray with handles is perfect for carrying coffee supplies or as a dessert tray. Versatile tray can be used as a vanity dresser tray and is perfect for perfume, toiletries or jewelry. When not in use to serve guests, display as counter tray décor or as a decorative coffee table tray.